lookfantastic is the online home of some of the biggest luxury brands in beauty. Selling Redken, Kerastase, ghd, Aveda, Clarins, Benefit, Tigi and Elizabeth Arden as part of their 10,000 …Read the full post. Voucher/Discount Codes: Looking to try something new? Now you can with 3 FREE ELEMIS Travel Sizes from a huge collection at timetospa when you spend just £65 or more …Read the full post. Superdrug specialise in beauty products, brand name fragrances and boast a large selection of stylish seasonal gifts. Take advantage of the same amazing offers you get in store, on wide …Read the full post. HQ Hair offers Premium beauty, grooming, skincare, hair-care, make-up, accessories and appliances.Below you will find the latest money off voucher codes. Offer Details: Expiry Date: Voucher/Promo Code: Get 10% off …Read the full post. AllBeauty.com are offering you the chance to win a luxury weekend at V-Festival – all you have to do is spend £15 or more on KMS products to be automatically …Read the full post. 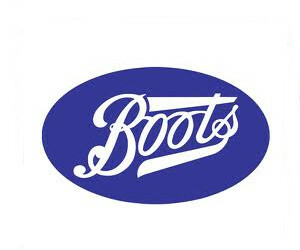 Boots is one of the UK’s leading high street stores and offers a vast product range of health and beauty products as well as much more.Boots.com also offers some FREE …Read the full post. feelunique.com offer huge savings on over 6,000 beauty products from more than 200 leading brands including Clarins, Xen-Tan, Decleor, Lancome, Elizabeth Arden and L’Oreal.Sell a huge range of products including …Read the full post. The Hut offers a wide range of products including DVD’s and games, but they also offer a fantastic range of health and beauty products and clothing too! Below they are …Read the full post.